You'll be £12.99 closer to your next £10.00 credit when you purchase Mad or Bad. What's this? In a violent 19th century, desperate attempts by the alienists - a new wave of 'mad-doctor' - brought the insanity plea into Victorian courts. Defining psychological conditions in an attempt at acquittal, they faced ridicule, obstruction - even professional ruin - as they strived for acceptance and struggled for change. It left 'mad people' hanged for offences they could not remember, and ‘bad’ people freed on unscrupulous pleas. Written in accessible language, this book - unlike any before it - retells twenty-five cases, from the renowned to obscure, including an attempt to murder a bemused Queen Victoria; the poisoner Dove and the much-feared magician; the king’s former wet-nurse who slaughtered six children; the worst serial killer in Britain…and more. A Who's Who introduces the principal players - life-saving medics, like Maudsley and Bucknill; intransigent lawyers like Bramwell and Parke., while a convenient Glossary of ‘terms and conditions’: ranging from ‘Insane on Arraignment’ to Her Majesty’s Pleasure, ‘Ticket of Leave’ to ‘Burden of Proof’, helps to explain the outcomes of the cases. Insanity Conditions presents, in glossary format, the diagnosed maladies put forward in court. Rarely accepted, more often rejected, by those keen on justice in its traditional form. A History of Debate explains the titular subject - through graspable language and a window in time. How the ones found 'not guilty on the grounds of insanity' were curiously handled in Victorian law. A chapter devoted to madness and women - from hysteria to murder, ‘monthly madness’ to crime. Raising opportune questions about the issue of gender, and exposing the truths of a masculine world. As a person interested in both history and criminalistics, I found this book quite fascinating. Most of the cases dealt with murder most foul. Some, such as Edwin Bates, who attempted extortion on Prince Albert, bordered on the truly absurd. Many would likely have different verdicts today. I think, for one, of the case of Mary Brixey, who murdered her employer's infant son. 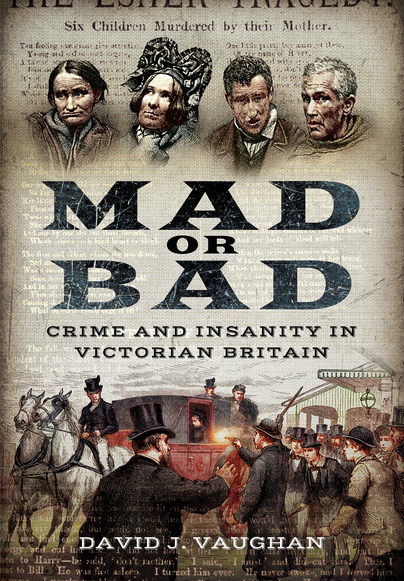 Anyone interested in legal history or the history of psychology will find Mad or Bad: Crime and Insanity in Victorian Britain really interesting because it gives an idea of how the legal system - especially in the UK - has been formed to this day. The material is rigorously researched and the cases are presented in an easy to read style. The case stories are fascinating to read in their own right and cover the most famous and relevant cases of the era. They provide a great overview without going into excessive detail and would be a good starting point for people who want to delve deeper into the subject, whilst providing a general background to others who might be looking for orientation and general reading on the topic. The book is well organised, written clearly, and provides a good summary of the main issues whilst illustrating them well without excess detail or the use of unnecessarily complicated terms. A good read for anybody interested in issues of criminal justice, insanity and law in Victorian England, particularly those that pertain to the treatment of women by the legal system of the time. A word of warning: the passing of time hasn’t made these cases less upsetting or shocking, so although the book doesn’t dwell unnecessarily on the gore details, you might find some of them hard to read. A well-researched and accessible book, which sheds light on insanity conditions through intriguing criminal cases and thought-provoking debate. It is a useful resource for those interested in the history of medico-legal debate, and for anyone whose ancestors suffered from mental health issues in the 19th century. WDYTYA? Magazine, April 2017 – reviewed by Angela Buckley. David J Vaughan has researched and written a fantastic social history on crime and insanity in Victorian Britain, something that in the Victorian period captured the imagination of the public at that time. Like today, in the new newspapers it was the exceptional crime stories that made the headlines, and this book looks at a few of those cases and looks deeper. While I might argue that the 19th century was no more violent than previous ones, this was the period when newspapers were more widely read than ever before, and crimes were more widely known than before. Vaughan examines those cases where a new plea, that of insanity was brought before the courts. This new plea of insanity, was an attempt to define psychological conditions of the accused in the hope that they may be acquitted. While looking back at this time with a new set of eyes where we can see some of those deemed mad were hung and some of those who were bad were freed, but who said justice was easy or simple? Mad or Bad is a book that has been written in an easy accessible language, where various terms are explained for the reader, so they are not left attempting to understand what happened at the time. Vaughan has used a number of case studies explaining the cases in an easy and open way, he has studied the documentation from the trials and brings us the information the reader requires. 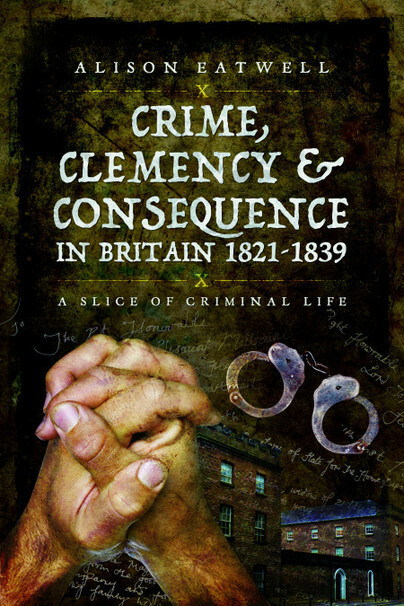 This is an excellent book for all those interested in social history and especially the effects of crime and how punishment was dealt with during the Victorian period. This is an intriguing book that brings to life a new line in a defendant’s armoury for their defence, while questioning how the British Justice System operated at the time. This is an excellent book well worth reading for all those interested in the Victorian period and how crime was dealt with at the time. Programmes like Who Do You Think You Are? have famliiarised us with conditions in the late Victorian era, when the workhouses were introduced to subject the very poorest in society to the shame of living off the state - David Vaughan goes one step further with amazing research into the people who were judged to be insane in the eyes of the law, and housed in institutions that were still around in the 1950s. This unbelievable catalogue of characters and their crimes and misdemeanours, together with their "illnesses", makes for a fascinating read! Full of interesting facts. If you like to learn about historical events that led to the shaping of our present law, then this is a good book for you. An interesting book on how the insanity plea came to be a part of the judicial system in Britain. I enjoyed it especially the fight to be able to use the plea since so many people were afraid that murderers would walk free. The only issue I had was the amount of definitions and explanation of terms the book had. I understand it was needed but it was 20+ pages in a very short book. I would rather have had more case histories. I do recommend the book for historians and those who enjoy true crime I think both groups will enjoy it. As featured on Herefordshire Writers. The cases presented were an interesting introduction to the subject and reasonably well handled, using primary sources. David Vaughan has written a well-researched and readable book on an important aspect of criminal history and it is to be congratulated. This is obviously well researched and Vaughan has put a great deal of effort into it. Wow, interesting read, I wish it had been released when I was doing my degree, I could definitely have used it. We're they mad or bad? This book tells us true stories from the 19th century of murder, infanticide and treason, from a serial killer to a poisoned. All told in an easy to understand way, with a clear and concise glossary and explanation of expressions used and laws. The cases presented were an interesting introduction ton the subject and reasonable well handled, using primary sources. There are some extremely interesting points raised about the use of the insanity plea, particularly with regards to women committing crimes.